Photo by Richard Barnes / courtesy of The Menil Drawing Institute. There's a reason we named Texas one of our Top 15 Places to travel in 2019, and Houston is one of them. It's time to reconsider the city you thought you knew for the splashy debuts and cultural highlights that could easily fill a weekend. HOUSTON, Texas — The sun is back out in Houston. In fact, it’s hard to believe that just over a year ago, Hurricane Harvey’s destructive path ripped through the city, as it now seems more vibrant than ever. I’ve been visiting H-Town to see my sister and her family for more than a decade and in many ways feel much like an honorary Texan and local Houston. Sure, you’ll spend time in a car, as the city is connected by vast highways. But follow the golden brick road because it leads creative clusters, including Downtown, River Oaks, West University, the Museum District, and Upper Kirby and Memorial. Here are a sampling of splashy debuts as well as a few venerable spots. Emmaline. Photo by Julie Soefer / courtesy of Emmaline. 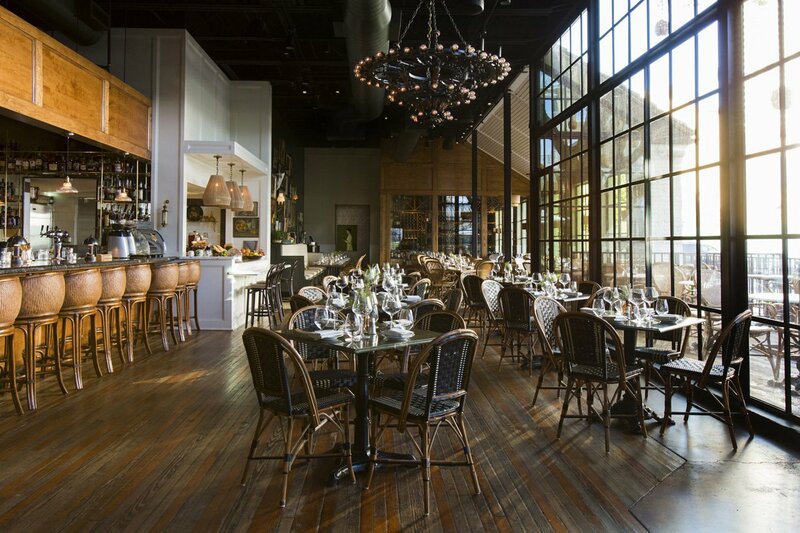 This New American farm-to-fork spot from Houston native chef Martin Stayer sports a great wine list curated by Sara Stayer (formerly of Chicago’s Big Star and Au Cheval), shakes up bespoke cocktails and shrubs by chef-turned-bartender Sarah Troxell, and has a solid vinyl music selection on rotation. A eclectic, leafy neighborhood space (reminiscent of LA’s famed Ivy) showcases chef Dimitri Voutsinas’ (a Bar Boulud alum) market food, meat and cheese pairings, grilled pizzas, and fresh pastries. Brunch is also immensely popular. Designed by New York-based branding studio The MP Shift, this airy Montrose cafe functions as easy stop for healthy superfoods in the way of grain bowls, smoothies and elixirs in equally super-chic digs. James Beard Award winner Chris Shephard has expanded his empire to include a rotating themed restaurant in Montrose, where currently Mediterranean fare headlines, with homemade breads, ample spreads, meats, and veggies cooked al ha’esh (on the fire). A breezy, brick-lined spot in Rice Village serving Greek food: elevated gyros, grilled Gulf shrimp saganaki, and, for dessert, flakey bougatsa. There’s also an eclectic, well-curated list of Hellenic wines. A venerable spot in a non-descript strip mall worth mentioning for its excellent omaske lunch menu. Sit at the bar and watch chef Manabu “Hori” Horiuchi work his magic. And if someone else is driving, do partake in sake pairings. Photo courtesy of The Pastry War. 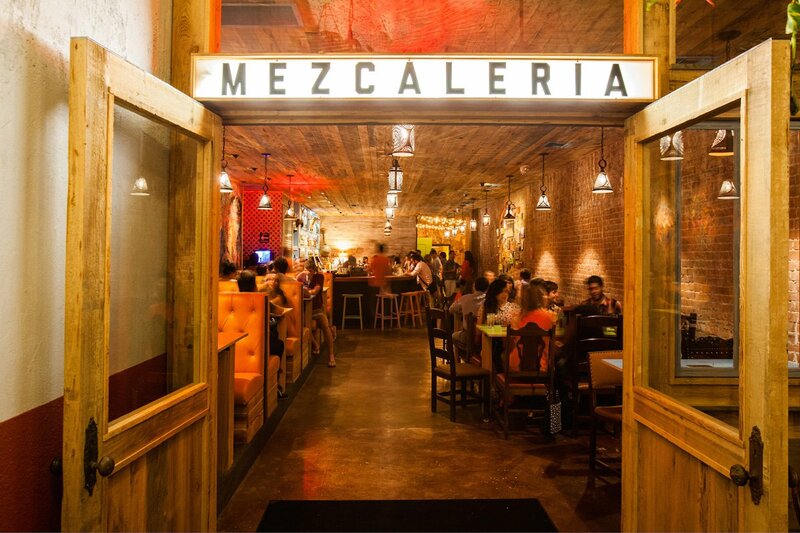 Well-worn Pastry War is a Mexican-themed bar with limited-edition tequila and niche bottles of mezcal. In the Heights, Eight Row Flint is an industrial space offering craft beer, bourbon, and zesty margaritas. For coffee, drop by Boomtown for small-batch drinks or Southside Espresso for trendy, caffeinated staples like whites and cordatos. James Turrell's "Twilight Epiphany." Photo by Florian Holzherr / courtesy of Rice University. 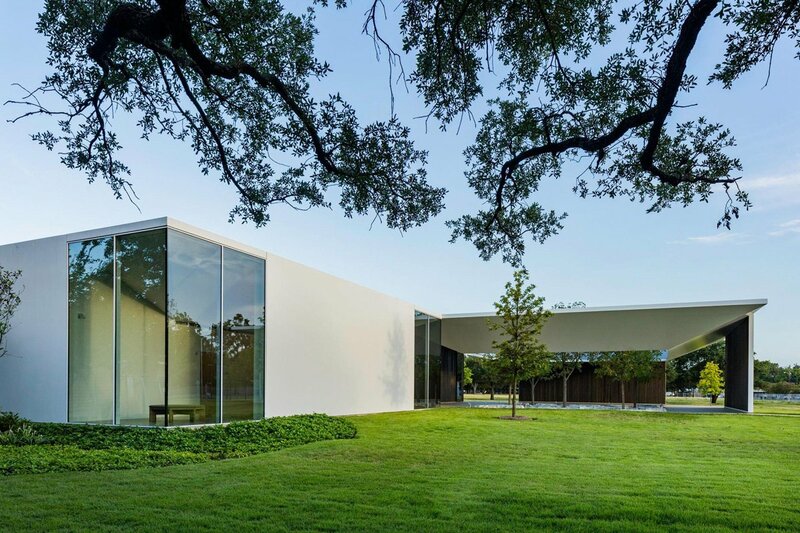 While Contemporary Arts Museum, Museum of Fine Arts, and The Menil Collection, and the Menil-commissioned, nondenominational Rothko Chapel still reign as an art lover's dream, check out nearby Art of the World Gallery for a bevy of contemporary works by many South American artists or stroll the grounds of Cullen Sculpture Garden (host to the likes of Calder and Bourgeois) or drop by the lesser-known-but-just-as-lovely Bayou Bend for decorative arts, paintings, and formal manicured gardens. The Menil Collection opened Menil Drawing Institute last November with Jasper Johns show. Isabella Court is an architectural marvel from the 1920s that is today home to Inman Gallery, among others. 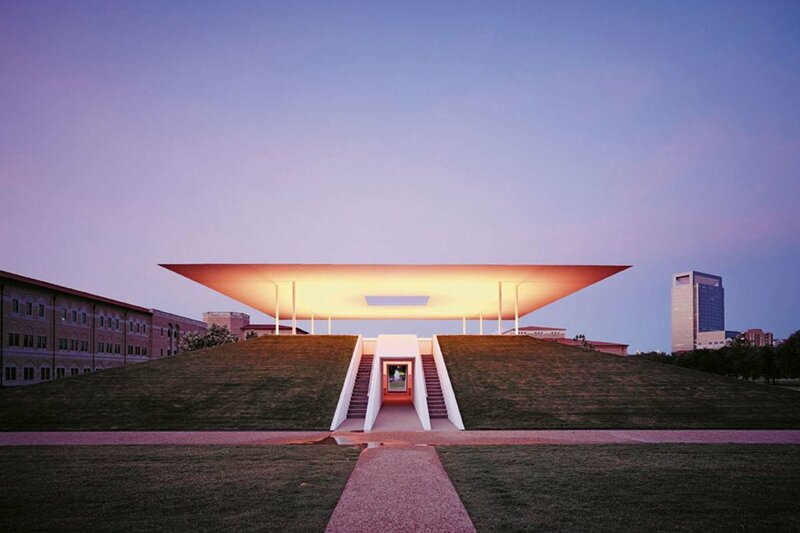 James Turrell's Twilight Epiphany Skyspace on the Rice University campus hosts musical performances and is made with LED lights that react to sunrise and sunset. It's free to visit. Later, stay on point with in a performance at the famed Houston Ballet. Shopping? High-end shops live at Post Oak’s new development — with duds from marquee labels like Gucci and Tom Ford. Elsewhere in River Oaks, the side-by-side shops of Sid Mashburn and Ann Mashburn stock both casual and dressy pieces, while Kick Pleat provides edgier brands like Creatures of Comfort and Rachel Comey. Elegant Gordy & Sons Outfitters lends a finery not often seen in hunting and fishing shops. For hipster flare, the town has a sprinkling of LP stores, including Sig's Lagoon. And for furniture treasures, drop by Reeves Antiques for midcentury pieces. (You can browse their wshop on 1st Dibs if you can't get to Texas.) Looking for new pieces? Kuhl-Linscomb houses mod furniture by designers like Eames and Herman Miller, as well as unique giftables. Photo by Shannon O'Hara / courtesy of Hotel Alessandra. The crown jewel of Houston has arrived. 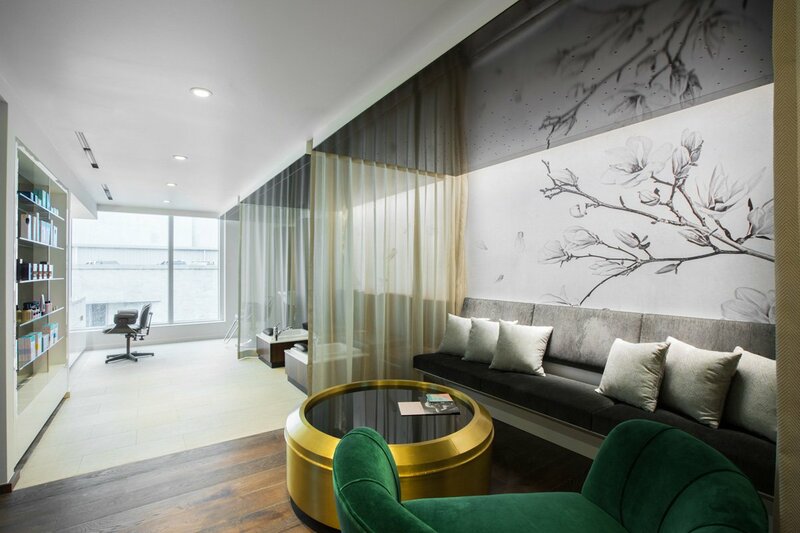 Situated in Post Oak, this uber-luxury hotel (AAA Five-Diamond) is kitted out with golden hues and dark woods and artwork by Frank Stella and Alex Katz. Marble bathrooms are stocked with Acqua di Parma toiletries. And if you’re so inclined, the complimentary Rolls Royce house car is there to whip you around on errands within a two-mile radius. A Texas-sized hotel, this venerable spot was recently gussied up with creamy, earth-toned rooms, a buzzy pool scene (complete with bungalows) and a casual restaurant by Richard Sandoval. The spa serves as a lovely haven for a massage and pedicure. For a casual option downtown, just across from Discovery Green, check into the breezy new 223-room hotel that caters to business travelers and sports fans. There’s also an outdoor pool and a Mediterranean restaurant called Lucienne. Don’t miss their small (but impactful) two-room spa offering elevated bodywork.